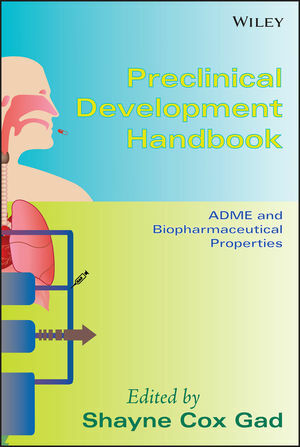 Following this book's step-by-step guidance, you can successfully initiate and complete critical phases of preclinical drug development. 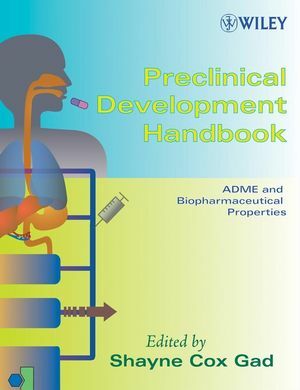 The book serves as a basic, comprehensive reference to prioritizing and optimizing leads, dose formulation, ADME, pharmacokinetics, modeling, and regulations. This authoritative, easy-to-use resource covers all the issues that need to be considered and provides detailed instructions for current methods and techniques. Each chapter is written by one or more leading experts in the field. These authors, representing the many disciplines involved in preclinical toxicology screening and testing, give you the tools needed to apply an effective multidisciplinary approach. The editor has carefully reviewed all the chapters to ensure that each one is thorough, accurate, and clear. Each chapter offers a full exploration of problems that may be encountered and their solutions. The authors also set forth the limitations of various methods and techniques used in determining the safety and efficacy of a drug during the preclinical stage. This publication should be readily accessible to all pharmaceutical scientists involved in preclinical testing, enabling them to perform and document preclinical safety tests to meet all FDA requirements before clinical trials may begin. SHAYNE COX GAD, PHD, DABT, ATS, is the Principal of Gad Consulting Services. Dr. Gad has more than thirty years of experience as a toxicologist, statistical consultant, manager, and general consultant on research and development in the chemical, consumer product, contract testing, biotechnology, medical device, and pharmaceutical industries. He is the author of thirty- four books and numerous papers, presentations, and other publications. 1 Modeling and Informatics in Drug Design (Prasad V. Bharatam, Smriti Khanna, and Sandrea M. Francis). 2 Computer Techniques: Identifying Similarities Between Small Molecules (Peter Meek, Guillermo Moyna, and Randy Zauhar). 3 Protein–Protein Interactions (Kamaljit Kaur, Dipankar Das, and Mavanur R. Suresh). 4 Method Development for Preclinical Bioanalytical Support (Masood Khan and Naidong Weng). 5 Analytical Chemistry Methods: Developments and Validation (Izet M. Kapetanovic and Alexander V. Lyubimov). 6 Chemical and Physical Characterizations of Potential New Chemical Entity (Adegoke Adeniji and Adeboye Adejare). 7 Permeability Assessment (Srinivas Ganta, Puneet Sharma, and Sanjay Garg). 8 How and Where Are Drugs Absorbed? (Marival Bermejo and Isabel Gonzalez-Alvarez). 9 Absorption of Drugs after Oral Administration (Luis Granero and Ana Polache). 10 Distribution: Movement of Drugs through the Body (Jayanth Panyam and Yogesh Patil). 11 The Blood–Brain Barrier and Its Effect on Absorption and Distribution (A. G. de Boer and P. J. Gaillard). 12 Transporter Interactions in the ADME Pathway of Drugs (Yan Zhang and Donald W. Miller). 13 Accumulation of Drugs in Tissues (Krishnamurthy Venkatesan, Deepa Bisht, and Mohammad Owais). 14 Salt and Cocrystal Form Selection (Ann W. Newman, Scott L. Childs, and Brett A. Cowans). 15 Dissolution (A.K. Tiwary, Bharti Sapra, and Subheet Jain). 16 Stability: Physical and Chemical (Eric M. Gorman, Brian E. Padden, and Eric J. Munson). 17 Dosage Formulation (Alexander V. Lyubimov). 18 Cytochrome P450 Enzymes (Eugene G. Hrycay and Stelvio M. Bandiera). 19 Metabolism Kinetics (Charles W. Locuson and Timothy S. Tracy). 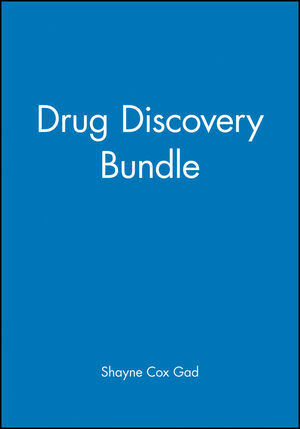 20 Drug Clearance (Sree D. Panuganti and Craig K. Svensson). 21 In Vitro Metabolism in Preclinical Drug Development (Olavi Pelkonen, Ari Tolonen, Miia Turpeinen, and Jouko Uusitalo). 22 Utilization of In Vitro Cytochrome P450 Inhibition Data for Projecting Clinical Drug–Drug Interactions (Jane R. Kenny, Dermot F. McGinnity, Ken Grime, and Robert J. Riley). 23 In Vivo Metabolism in Preclinical Drug Development (Sevim Rollas). 24 In Vitro Evaluation of Metabolic Drug–Drug Interactions: Scientific Concepts and Practical Considerations (Albert P. Li). 25 Mechanisms and Consequences of Drug–Drug Interactions (Dora Farkas, Richard I. Shader, Lisa L. von Moltke, and David J. Greenblatt). 26 Species Comparison of Metabolism in Microsomes and Hepatocytes (Niels Krebsfaenger). 27 Metabolite Profi ling and Structural Identifi cation (Mehran F. Moghaddam). 28 Linkage between Toxicology of Drugs and Metabolism (Ruiwen Zhang and Elizabeth R. Rayburn). 29 Allometric Scaling (William L. Hayton and Teh-Min Hu). 30 Interrelationship between Pharmacokinetics and Metabolism (James W. Paxton). 31 Experimental Design Considerations in Pharmacokinetic Studies (William W. Hope, Vidmantas Petraitis, and Thomas J. Walsh). 32 Bioavailability and Bioequivalence Studies (Alexander V. Lyubimov and Ihor Bekersky). 33 Mass Balance Studies (Jan H. Beumer, Julie L. Eiseman, and Merrill J. Egorin). 34 Pharmacodynamics (Beom Soo Shin, Dhaval Shah, and Joseph P. Balthasar). 35 Physiologically Based Pharmacokinetic Modeling (Harvey J. Clewell III, Micaela B. Reddy, Thierry Lave, and Melvin E. Andersen). 36 Mathematical Modeling as a New Approach for Improving the Effi cacy/Toxicity Profi le of Drugs: The Thrombocytopenia Case Study (Zvia Agur, Moran Elishmereni, Yuri Kogan, Yuri Kheifetz, Irit Ziv, Meir Shoham, and Vladimir Vainstein). 37 Regulatory Requirements for INDs/FIH (First in Human) Studies (Shayne Cox Gad). 38 Data Analysis (Jayesh Vora and Pankaj B. Desai).